ANNOUNCEMENT: DR. SHPRINTZEN WAS AWARDED THE HONORS OF THE ASSOCIATION OF THE AMERICAN SPEECH-LANGUAGE-HEARING ASSOCIATION (ASHA) ON NOVEMBER 15, 2013. THE HONORS OF THE ASSOCIATION IS THE HIGHEST HONOR AWARDED BY ASHA. Dr. Shprintzen was also recipient of the Robert J. Ruben Award for excellence in research by the Society for Ear, Nose, and Throat Advances in Children, among many other awards and recognitions of scientific and clinical excellence. DR. SHPRINTZEN’S 1978 ARTICLE THAT FIRST DESCRIBED VELO-CARDIO-FACIAL SYNDROME WAS THE SINGLE MOST FREQUENTLY CITED ARTICLE IN THE CLEFT PALATE-CRANIOFACIAL JOURNAL OVER THE ENTIRE HISTORY OF THAT PUBLICATION, AND DR. SHPRINTZEN THE MOST FREQUENTLY CITED AUTHOR IN THAT JOURNAL ACCORDING TO A RECENT ANALYSIS OF PUBLICATIONS BEGINNING IN 1954. Robert J. Shprintzen, Ph.D. has been mentioned frequently on the internet because of his work with velo-cardio-facial syndrome (VCFS). 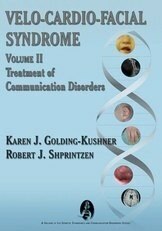 Dr. Shprintzen has been credited with “discovering” VCFS because of his publication in the medical literature in 1978. In some publications and textbooks, the syndrome is called Shprintzen syndrome, a term that has always made him uncomfortable because of the contributions of so many other researchers who preceded and followed him. He has, however, spent nearly 40 years studying, diagnosing, and treating people with VCFS. Through the Virtual Center for Velo-Cardio-Facial Syndrome, Dr. Shprintzen continues to follow more than 1,000 cases. Many people are not aware that Dr. Shprintzen is also credited for discovering three other genetic syndromes, all of which bear his name in the medical literature, nor of his seminal role in developing flexible fiberoptic nasopharyngoscopy as a diagnostic tool in pediatric cases beginning in the 1970s. He has been a leader in studying the pediatric airway for the past 40 years. This web site describes his work tells his personal story. 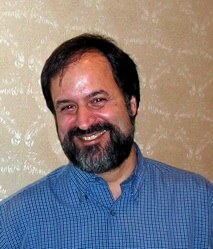 In 2012, Dr. Shprintzen started an innovative new web-based service. 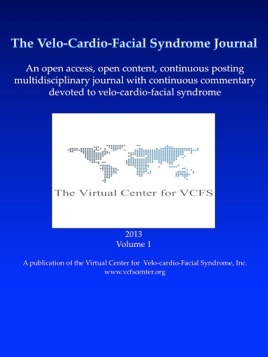 The Virtual Center for Velo-Cardio-Facial Syndrome, Inc. is an open-access 501(c)3, internet-based charitable organization that will be available to provide personalized information to people whose lives have been touched by VCFS and who are seeking applicable research and clinical expertise regarding the management of the syndrome. The Virtual Center is also providing the same service for other genetic syndromes, cleft palate, craniofacial disorders, and problems associated with velopharyngeal insufficiency. There is no charge for this service, which is funded only by voluntary donations. The Center’s staff includes experts with extensive experience with VCFS and other craniofacial disorders. The staff will be available individually or in a conference format with registrants to the web site and their local physicians, speech-language pathologists, dentists, educators, etc. The entire staff is comprised of people who have seen, collectively, thousands of children and adults with VCFS and other rare conditions. The Virtual Center has multiple options for communicating with registrants. The preferred method is by video conference using your computer and a webcam. For people who do not have high speed (broadband) internet access or a webcam, telephone or email can be used. 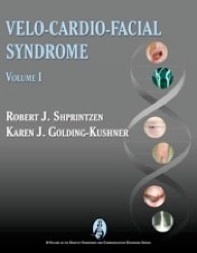 In 2013, Dr. Shprintzen launched The Velo-Cardio-Facial Syndrome Journal, the first journal devoted only to VCFS. This online, open access, open source journal is found on the Virtual Center web site (click the journal cover below). Readers are invited to post comments about each article in a blog-like interaction that will encourage debate between authors and readers on a continual basis. Copyright 2009, Robert J. Shprintzen, Ph.D.